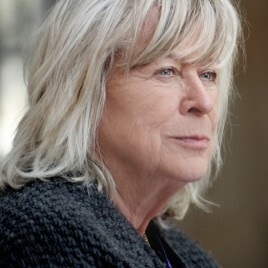 Margarethe von Trotta (born 1942) – a German film director, actor and screenplay writer. In the 1970s, she acted in films of Rainer Werner Fassbinder (The American Soldier, Gods of the Plague). She began her career as a film director with The Lost Honour of Katharina Blum (1975), which she co-directed with her former husband Volker Schlöndorff. In 1986, she directed a film about Rosa Luxembourg, for which she received the Golden Palm award. In 2013, she made a film about Arendt, which won the Golden Lion award.